ABSS Premier is multi-user capable. This means that more than one person in your organisation can access Premier and perform day to day functions like issuing an invoice, ordering stocks, receiving customer payment, paying suppliers, etc. For more than one person to access Premier, you must have more than 1 user licence. If you are currently using the single user version, you can add user licences as needed at any time. 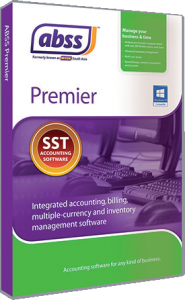 The question that is often asked of us is how to setup Premier so that all users are able to access the data at the same time? There are 2 ways this can be achieved, depending on the number of users that you have, as well as the volume of transactions keyed into ABSS. If the number of users is small, then you can set it up on a peer-to-peer network. Assuming you have 3 users. Each user’s computer will have ABSS Premier software installed on it. One computer, the main computer, will then have the data or company file on it. 2 users will then start ABSS Premier on their computers, click Open, then navigate to a folder on the main computer to select the company file. For the data to be accessible to ABSS users, the main computer must be switched on, and the 3rd user can use it to process data as well. This setup is more or less similar to the above, except there will be a dedicated computer that will have the company file. A dedicated computer is one that is not used by anyone. It’s only purpose is to allow sharing of the data with the other users. This configuration is more suited to environments where there are more users, and where the volume of transactions is higher. The main computer can be a standard computer with Windows 7 or higher, or it can be a server with Windows Server operating system. Which one you choose would depend on your budget primarily, but is also dependent on the number of users you have as well as the volume of data that needs to be processed. Regardless of which configuration you choose, all computers should be configured for the network and belong to the same Windows Workgroup or Domain. The folder which has the data must be shared on the network, and all users must have read and write permissions. We highly recommend that computers that access ABSS data use a cabled connection rather than Wifi, which can be less reliable and potentially lead to data corruption. 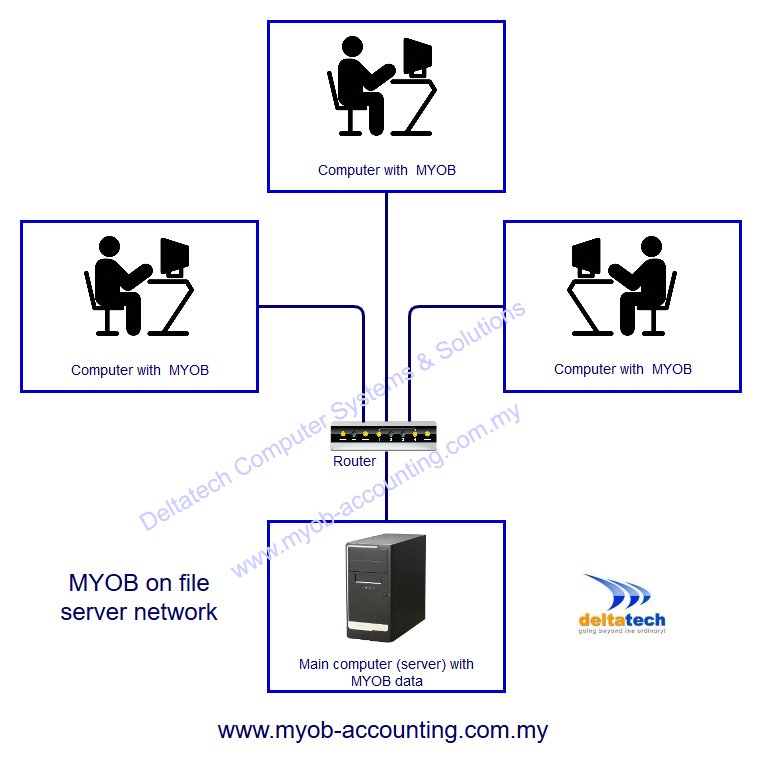 Need a branch accounting solution or access to MYOB when outside the office?